Address: 61168, Kharkov, 4 Blukhera st.
Head: Bashura Alexander Gennadievich, D.Sc. in Pharmacy, professor. 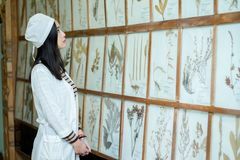 The Department of Pharmaceutical Chemistry was established in May 1921 simultaneously with the formation of the Kharkiv Pharmaceutical Institute. The Institute trained high-qualified pharmacists; professionals in quality examination of food and flavour of various substances; specialists in forensics (specialists in toxicological analysis) for chemical and pharmaceutical industry. The founder of the Institute and of the Department was an honoured scientist, Doctor of Pharmacy and Chemistry, Professor Mykola Ovksentiyovych Valyashko. After the separation of Pharmacognosy and Forensic Chemistry departments in 1937 our department was headed by Professor T. Kusner, but M.O. Valyashko remained its supervisor and consultant. During the Second World War the Department worked in the evacuation in Semipalatinsk, Kazakhstan. In 1946 the Department of Pharmaceutical Chemistry returned back from evacuation and began to recover its work. From 1944 to 1954 Professor N.P. Krasovsky was the head of the Department. He paid a lot of attention to methodological and organizational work in the issue of higher pharmaceutical education. Doctor of Pharmacy, professor, pupil of Professor M.O. Valyashko and his closest ally in the issue of organization and arrangement of pharmaceutical education in the USSR, he established the school in the area of chemistry of drugs of plant origin. From 1954 to 1964 the Department of Pharmaceutical Chemistry of Kharkiv Pharmaceutical Institute was headed by V.I. Blyznyukov – a pupil of Professor M.O. Valyashko. He continued his research and established the school for the study of fine chemical structure and its relation to the physiological activity of the drugs, derivatives of benzene, naphthalene, quinoline and acridine. In 1964 the department was headed by Associate Professor O.K. Sukhomlinov and he guided it until 1970. Under his leadership, research in the synthesis and study of new biologically active compounds in some aromatic hydrazides, benzolactames and alkyloxasynatines adamantylamonnium was conducted. From 1970 to 1976 the Department’s staff was headed by Professor Vera Petrovna Shtuchnaya, a pupil of M.O. Valyashko. She conducted synthesis and search for biologically active compounds among derivatives of 1-aminonaphtalene. From 1976 to 1985, the Department of Pharmaceutical Chemistry was headed by Professor Ilarion T. Depeshko. Since 1985 to 2009 the Department of Pharmaceutical Chemistry was headed by Doctor of Pharmacy, Professor Peter Ovksentiyovych Bezugly. • “The development and validation of methods of drugs’ quality control” for full-time and part-time speciality “Pharmacy” (Master’s degree). Nowadays the subjects studied at our department are taught in Ukrainian, Russian and English (for foreign students only). In 2006 the department’s stuff wrote and published textbook “Pharmaceutical chemistry”. In 2008 the second edition of this textbook was published. And in 2011 the last edition of this textbook (altered and supplemented) was published. In 2001 the textbook “Pharmaceutical analyse” was composed and published. It is planned to publish the following textbooks in 2013: “Pharmaceutical analyse”, “Bromatology”, “Workbook in Pharmaceutical Chemistry”, texts of lectures “Pharmaceutical Chemistry” in English for foreign students and tests for individual training. The scientific direction of the department: the search of new biologically active substances; physicochemical research of the new-synthesized substances is carried out regularly; the study of regularities of relationship between chemical structure and activity. • development and standardization of the combined medicinal preparations. The Department of Pharmaceutical Chemistry carries out research in close cooperation with the Institute of Infectious and Allergic diseases of USA, the National Institute of Cancer of USA, and also with many research-and-development centres of Ukraine and Russia.